We are a leading Manufacturer of stainless steel sheets, stainless steel 309s and 310s pipes, stainless steel 309s and 310s tubes and stainless steel 309s and 310s buttweld fittings from Mumbai, India. 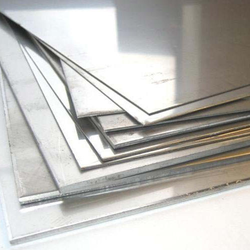 This range of Stainless Steel Sheets is made of premium quality stainless steel of 309 S / 310 S grade. Using high technology tools these sheets are manufactured which ensure in dimensional accuracy, excellent mechanical properties and high tensile strength. These sheets are exclusively used in various fabrication and engineering projects. Form: Foils, Shim Sheet, Rolls, Perforated Sheet, Chequered Plate. We are involved in producing a broad array of Stainless Steel 309S and 310S Pipes which is made of optimum quality steel alloys of type 309s/310s standard. 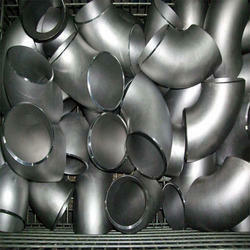 Designed with high precision these pipes are dimensionally accurate, rigid in construction having high tolerance power. With a variety in sizes, diameter and lengths these pipes are used in pipelining, construction works and electrical works in several industries. A comprehensive range of Stainless Steel 309S and 310S Tubes is manufactured by us which is made as per the requirement specifications given by the clients. Designed with high precision these tubes are engineered with the premium quality stainless steel of type 309S/310S grade. Specifying all the industrial standards, these tubes are offered in various forms like round, square, rectangular coil & U-shape. We offer a wide range of Stainless Steel 309S and 310S Buttweld Fittings which is made of superior graded steel alloys of grade 310S. Precisely engineered these fittings have excellent mechanical properties along with high anti-corrosive properties. The portfolio includes elbow, reducing elbow, tee, crosses and reducer etc.